I joined the world of podcast listeners earlier this year. I have varied interests and have subscribed to dozens from iTunes. I can honestly state that Ongline is my absolute favorite. If you enjoy personal blogcasting, I believe you will find Ongline stimulating, insightful, and just plain entertaining. Try it! Ongline was the first podcat that I listened. John is creative person, who is frequently trying new things. They may not always work, but they are not boring. Also John is a gentle soul. ; he is one of the most likeable persons in gay podcasting. His casts with his partner, Bruce, are special. Dont smoke a bong but ya might think he does with how silly he can be! Lots of fun and the nicest guy in podcasting. He is hysterical to listen to and a true humanitarian! Sometimes John Ong is off the wall, but entertaining never the less. he is the light of our hope, never missed any episodes ! u guys should listen to it ! John Ong will always make you laugh. Not only is his laugh infectious, his show is funny, too! This guy has the cutest little giggle anywhere! Listen just for that reason alone! Subscribe to this podcast Now! John is very funny and very passionate with the topics he discusses. You cannot help but smile and laugh when listening to this show. So listen... smile and laugh. By listening, I noticed the effort and time spend by John to make this happened. If his laugh alone doesn't put a smile on your face, the rest of John's shows surely will. One of my favorites! John Ong has been on my list of must listen podcasts since I first started listening to podcasts. His shows are entertaining, engaging, and always interesting. John himself is intelligent and witty, and I hope he keeps doing this show for a long time to come. This is a great show featuring John Ong, a gay chinese podcaster, born in Malaysia, but now living in the US. The show is really fun to listen to and get's 5 stars from me! I am shocked as this is the nicest bestest gay manflesh podcaster out there. He has helped so many people and rules the homo world. But he also has a dark side so do not be fooled by my praise. I love dark side so listen and get to know this guy. 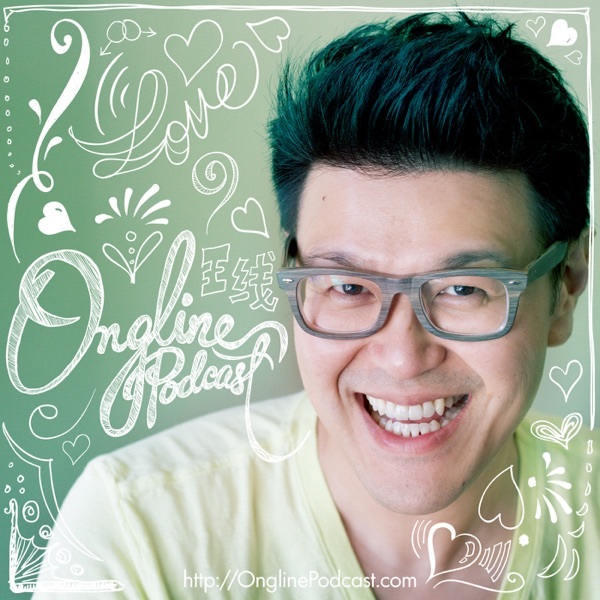 John Ong has broken ground in so many facets of what is now called "podcasting". If being one of the first podcasters out there isn't enough, he is also the first that I know of to break cultural and language barriers in providing multi-national podcasts. His open nature and incredible heart brings something that has been missing, in my world at least. His desire to focus on issues such as bi-national couples in the gay community and equal immigration rights has brought new discussions to the gay culture in general. And now he even has ENHANCED podcasts!